I know, it's already chilly outside. That's why I decided to share with you 7 scarves to buy and wear now. All the showcased styles will ideally fit your clothes, no matter if it's an oversized jacket, bulky sweater, tailored coat, biker jacket, blazer, urban bomber, varsity jacket, or any other topper. It seems like no matter how many scarves we buy each season, we can never get enough. This accessory will automatically add personality to any outfit. This season is all about one color styles, no matter if it's bright or muted. I love this look so much! 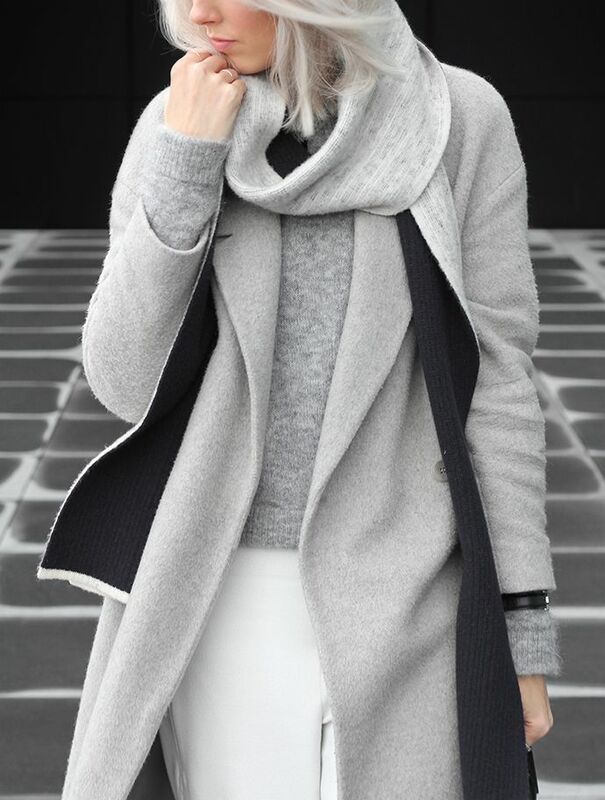 We see lady who is wearing a grey wool scarf styled with black leather biker jacket, knitted black sweater and slouchy grey trousers. We see many street style stars and bloggers wearing this beautiful item in so many ways: wrapping around head, tied on neck, ankle, wrist, tied as belt, etc. 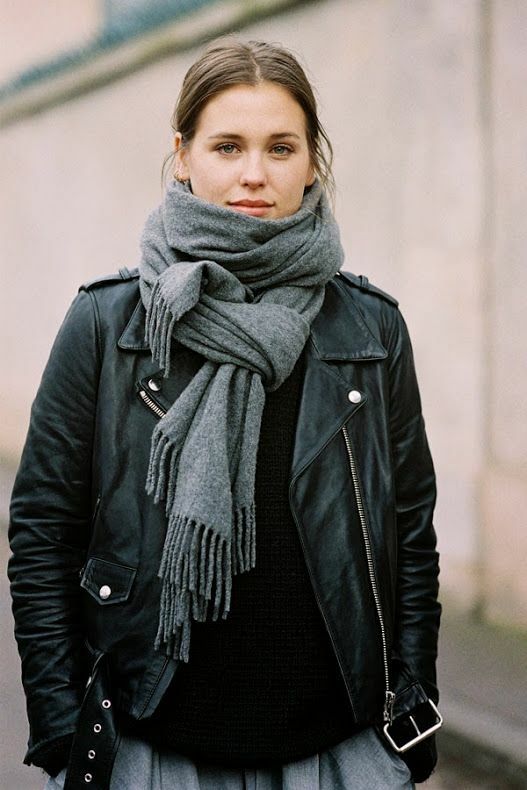 The scarf is an ideal inventory for cold season wear. It comes in various lengths and materials (from silken to linen, cashmere and wool). Winter outfit without a scarf is like hot chocolate without marshmallows. Anyway, let's have a look through my favorite styles to wear from Mondays to Sundays.